Stonington High School Crew was founded in 1997. We have two distinct racing seasons. 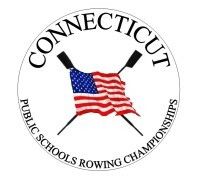 The spring is our championship season where we compete under the banner of two leagues: Connecticut Public Schools Rowing Association (CPSRA) and New England Interscholastic Rowing Association (NEIRA). In the spring season, we compete in sprint regattas throughout New England. These are 1,500m races in lanes against other crews. In the fall season, we compete in head races. Teams race against the clock, single file on a course that typically ranges from 3,500m - 6,000m long. It’s important that athletes dress appropriately for safety, performance, and health—especially during cold and wet weather. Synthetic fabrics such as Polypro, CoolMax and similar fabrics are best because they keep the rower relatively warm (even when wet) and dry quickly. Athletes will get wet from perspiration, rain, and splash. In addition to a uniform, each team member should purchase a shell, tights and tech shirt to ensure they will be warm and dry on a cold New England day. Even when the air is warm in the spring, the cool river water makes it much colder. The best clothing for rowing is soft, stretchy, breathable, and fairly form-fitting clothing. Loose shorts can get caught in the slides under the moving seats. So, avoid basketball style shorts or warm-ups. Loose tops can get caught in the oar handles. So, avoid bulky jackets or sweatshirts. In general, athletes should dress as though they are going running in the elements or Nordic skiing. Layering is important for keeping warm and maintaining the right temperature. The athlete’s needs will change during a practice depending on exertion and changing conditions. Having the appropriate layers enables them to regulate their insulation and protection. Sometimes an athlete may mix two out of three layers, depending on conditions. Base layer: This is form-fitting clothing intended to wick moisture away from the skin. The team’s JL tech shirts are great base layer tops. They are thin, similar to base layer garments worn when skiing. Multiple base layers can be worn for added warmth. The team also has JL tights that should be worn on colder days. Insulation layer: A synthetic fleece garment worn on colder days when extra insulation is needed, the insulation layer is thicker than the base layer, but not bulky. Polartec or Polarfleece clothing products fall in this category. Some insulation layer fabrics also have wind protection built in. Wind block: A breathable, wind block outer layer helps keeps athletes warm, yet prevents them from becoming too hot. Base and insulation layers are not designed to block the wind. The team Splash Jacket is designed for this purpose. It is also form-fitting, so it does not interfere with the oars, and has ventilation panels on the sides for breathability. Although not waterproof, the Splash Jacket does help to repel water. Other wind blocking clothing can be worn, but ensure that it breathes and is form-fitting. Hats: An athlete can lose a lot of body heat through their head. On cold days, it’s important that they wear an insulated hat to keep them warm. Feet: Athletes should have a pair of rubber sandals (or slip-on or -off shoes) for rowing on the water days. Keep in mind that these shoes will need to be put on and taken off very quickly, and be left on the dock where they will most likely get wet. (On dry land days – or any day the weather turns, and water practice is impossible – rowers should have running shoes handy). Socks should be synthetic or wool to help ensure that feet stay warm while wet. Athletes should have a second pair on land. Hands: Hands can get cold while rowing. However, you will not see athletes rowing with gloves. The reason for this is that rowing requires a tactile feel of the oar handle. Athletes can put their hands under their legs or armpits to keep them warm. If an athlete gets especially cold hands, they can borrow fleece pogies from the team. Athletes can also purchase water- and wind-resistant pogies from one of several rowing retail sites. Pogies are like open-ended mittens that fit over both the oar handle and the rower’s hands. Consequently, there are separate designs for sculling and sweep. One caution on pogies is that they can keep athletes' hands too warm and retain moisture, causing an ideal environment for blisters. They can easily be removed, once an athlete’s hands have warmed after exertion. Athletes should avoid cotton. Cotton does not keep a person warm when the fabric is wet. Instead, it can chill an athlete. Cotton should not be used as the base layer because it does not wick moisture away from the skin. Also, down should never be worn on the water. When down gets wet, it will clump and get very heavy. Nor does it have any insulating properties. We recommend rowers write their name on the tag of all of their clothing. This will clarify who clothing items belong to, and reduce the chance that you will lose items at the boathouse or regattas. ​​​​​​What is Friends of Stonington Crew?  Although we receive financial support from Stonington High School, most support comes from the Friends of Stonington Crew. FOSC, for short, is a self-funded, registered 501(c)3, non-profit organization. To support the team, FOSC has several fundraisers throughout the year. FOSC covers about 70% of the annual costs of the team through fundraisers. Is There One Team, or are Boys and Girls Teams Separate? We are one team. Although the boys and girls race in separate events, we all compete as one team. We participate in the same races and travel together to regattas. Each spring, we typically have four boys' boats and four girls' boats—three varsity boats and one novice boat. Boats are referred to as B (boy) or G (girl) and a number. For example, B1 is the Boys' 1st varsity boat. G2 is the Girls' 2nd varsity boat. Practice is held after school. Hours depend on the schedule of the coaching staff. In the fall and spring, practices are at the Mystic Seaport. Students can take one of two buses to the Seaport from SHS. In the winter, practices are held at our training facility located across the street from Stonington High School. We practice 5-6 days a week. Success in rowing is dependent on a high level of fitness and mastering the technical demands of the rowing stroke. Rowers train hard from the end of the fall season until they can get back on the water in the spring. The fall season typically ends in late October. The spring season typically begins in early March, weather depending. April vacation falls during the heart of our season. During this break coaches and rowers take advantage of the ability to train twice a day. This time is an essential part of our season and rowers are expected to be in attendance throughout. Spring regattas are held on weekends from early April to late May. If a team qualifies for Nationals, they may race in June. Races are typically Saturday morning, but we do have some Sunday races, due to SAT and ACT testing. A full schedule is posted on this website, under the Programs tab. Fundraising is a critical part of Stonington Crew. Without it, we wouldn’t be able to exist. We purchase all our equipment through fundraising. This includes chase boats, rowing shells, boat trailers, etc. Rowing is an expensive sport, and we need all rowing families to help. Our biggest fundraisers are the Erg Raffle, Pancake Breakfast in early March, and the Crew GALA in the spring. FOSC can always use help! It’s truly a case of "many hands make light work." It is also a lot of fun! Please take the time to attend our monthly board meeting. Meetings are held the first Tuesday of every month in the SHS Library at 7 PM. Whether you join the board in one of our leadership roles or simply lend a helping hand with fundraising or other activities, we welcome all rowing families!